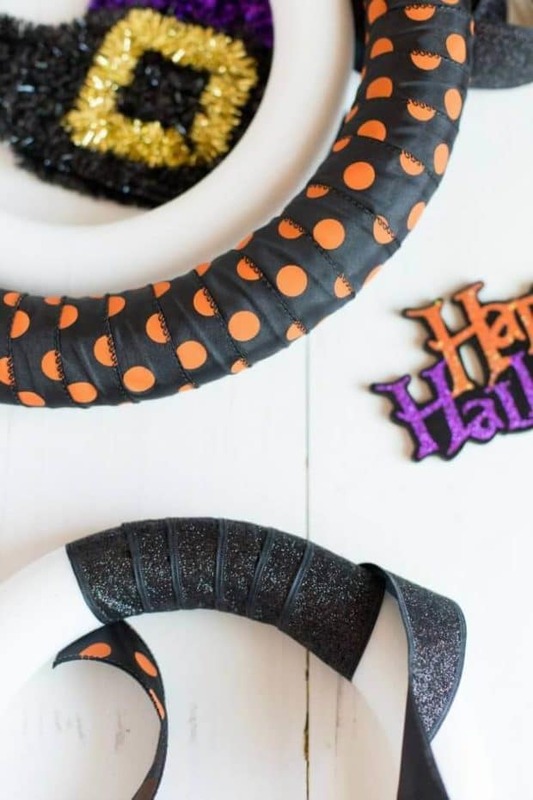 A DIY Halloween wreath and the right scents invite autumn inside. 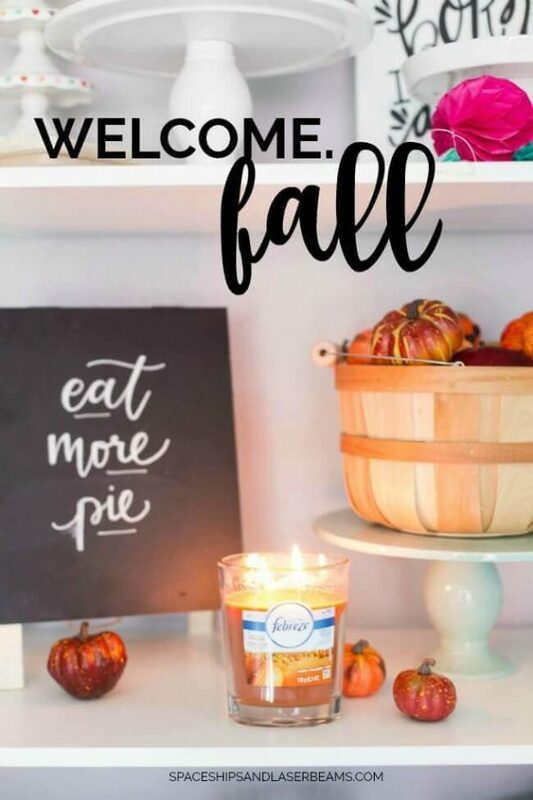 For a lot of us, changing of the seasons means changing up décor, doesn’t it? 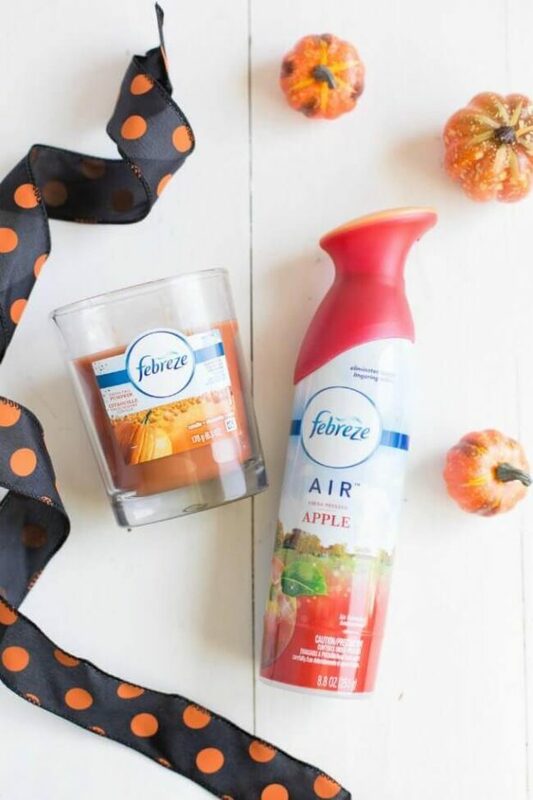 And for fall, iconic scents like apple and pumpkin super-charge the psyche, too. But if you’re like me, pumpkin patches, orchards, and piles of leaves aren’t so plentiful as where I grew up. So I’ve found ways to celebrate fall that are reminiscent of my heritage. This is how I do it. 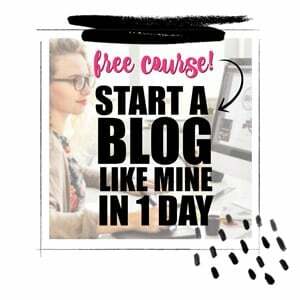 I’m sharing Febreze in my life as part of a sponsored series for Socialstars™. 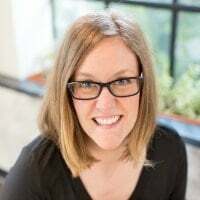 Although we’re loving the perpetual summer in Phoenix, at heart I’m still a mid-western girl. Sometimes I experience a pang of longing for the seasonal changes I grew up with, especially the tang of fallen leaves and dewy autumn nights. Mind you, I don’t miss it enough to give up all this Arizona sunshine! Adding a few autumn colors and a couple of fall scents satisfies my nostalgia. A basket of mini pumpkins and gourds makes a nice burst of fall color and a scented candle works wonders! 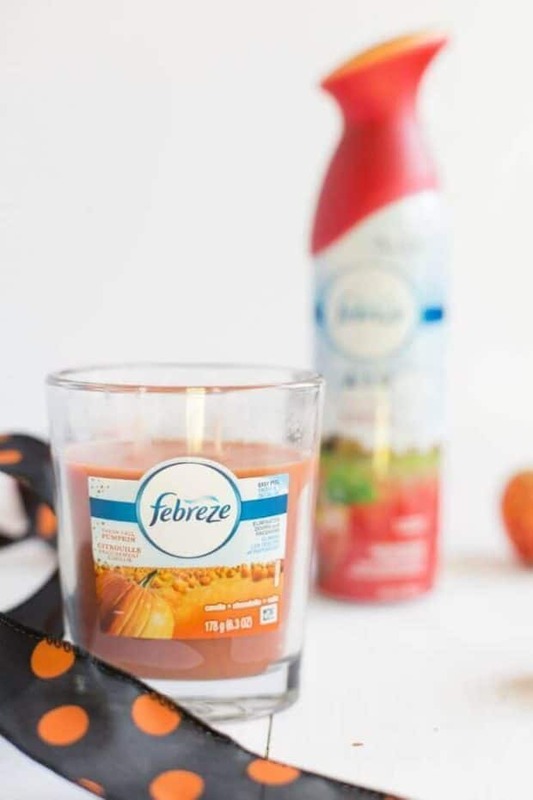 Febreze has a Fresh Fall Pumpkin candle that adds pleasant ambience and scent. It also eliminates pesky odors. 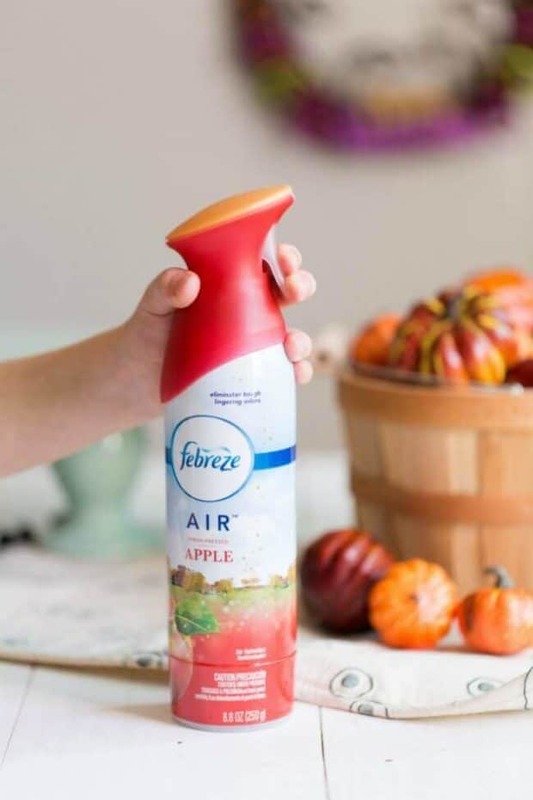 I like the Febreze AIR Fresh Pressed Apple for the same reason. Hold the can upright, squeeze the trigger, and spray in a sweeping kind of motion for noticeable freshness (no need to shake this can!) in any room. And after those simple additions, last weekend I made a fun Halloween wreath for the front door, too. Once I had the idea, I was surprised at how easy it was to put together. I bought three foam wreaths: One is 14 inches in diameter and the other two are ten inches each. 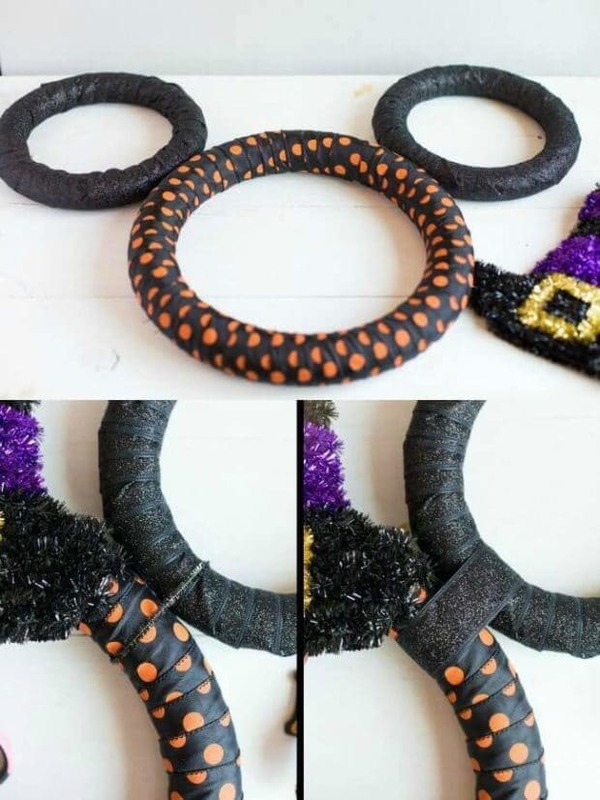 I chose 12 yards of inch and a half wide black and orange polka-dot ribbon, plus 12 yards of inch and a half black glitter wire ribbon. As I wrapped the ribbon around the wreath forms, I made sure to hot glue every three to four wraps around the wreath. To secure the ears to the main wreath, first I hot glued them, then I secured them with black pipe cleaners, adding ribbon to cover up the pipe cleaners. 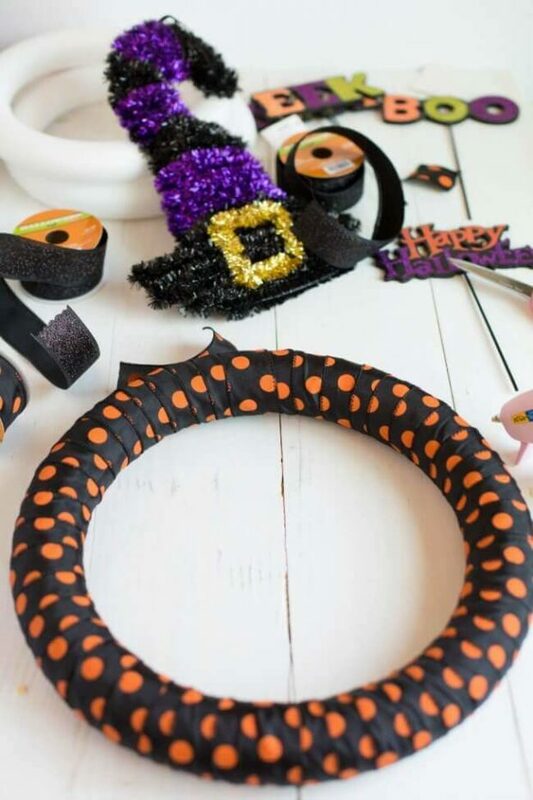 I found the witch’s hat and the fun purple, green and black decorative sprigs at my local craft and hobby store. They were easy to stick on, too. 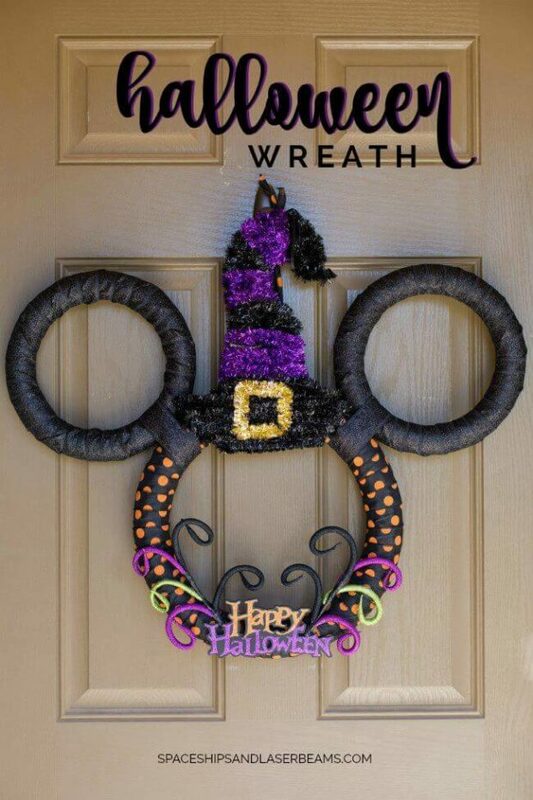 I tied ribbon around the back of the witch’s hat to hang it on my door. And all at once, I was back home, remembering cool full-moon nights, anticipating bags of candy and homemade pumpkin pies. Without the endless dreary mid-western rain. All it takes is the right colors, the best scents, and a little imagination…suddenly it’s fall!